I needed something to challenge me in my bible reading time this year. So I decided to use YouVersion.com’s One-Year Reading Plan to keep me on track. But to make it more interesting, I invited my small group coaches along for the ride. Then I thought, “Hey, this would be a great way to start 2009 for all of my friends!” So I threw the challenge out to my tweets on Twitter, facebook friends, and friends who I don’t see online. How about you, would you like to join us? Check out the One-Year Rading Plan. It’s free and fun. You can read the daily verses, and even comment on them privately or publicly… if you want. What a great tool! Check out YouVersion today and join us. If you go, follow me, and I’ll be sure to return the follow. Let’s start 2009 off right together! At Catalyst One Day, Craig Groeschel outlined the need for us to create margin in our lives to have time to reflect and spend with God. Check out my post on Craig’s session here. 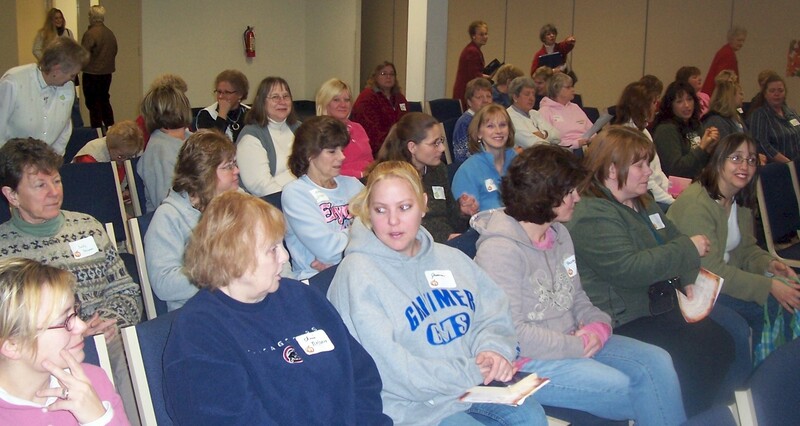 On Saturday, I created that margin and attended a refreshing Suncrest Women’s Retreat. I am so glad I did! Don’t put this off – find a way to create margin in your calendar today. 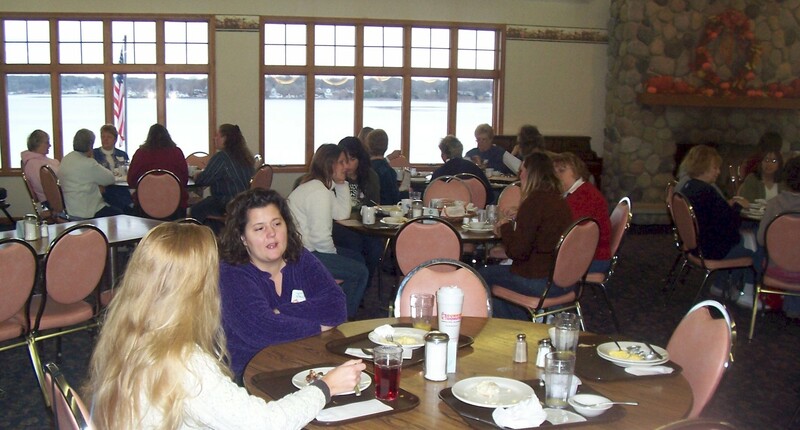 A team of Suncrest ladies hosted a great retreat at the Cedar Lake Bible Conference. Attendance was double what organizers were expecting… yeah God! The morning began with a delicious breakfast and great table conversation. Then, Ken and Leslie Bier led us in some awesome worship. Dang – Suncrest ladies can sing! Guest speaker, Cheryl Kikkert, spoke about the spiritual disciplines defined by John Ortberg in, “The Life You’ve Always Wanted.” We can all be “road signs” for people who need God. Suncrest West is just wrapping up an all-campus study on the group curriculum of the same title. We heard from a few more ladies as they unpacked some spiritual disciplines a bit more. Organizer,Chrissy Book, and Jen Cupery shared some personal reflections on what brings them Joy. Nancy Whitcomb and Kay Trump talked about Servanthood and Secrecy – nice to see them up presenting! After a tasty lunch, Lynn Barbee shared her heart on prayer. Unfortunately had to forgo the prayer walk because of the cold. We made a keychain keepsake to remind us of the ACTS technique of prayer, blew bubbles, and ate chocolate and jelly beans. Great job ladies!